On a health kick? Start from the ground up with Aetrex's Brenda design. The lightweight, beaded leather sandal features a built-in Lynco orthotic footbed, memory foam-cushioned insole and anti-microbial technology for a truly enjoyable (and utterly fashionable) walking experience. 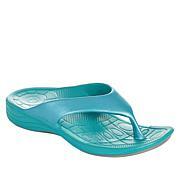 Very cute with arch support....rare so was happy to have these. A closed heel sandal? I have never owned a pair, but these Brenda's with their sparkly embellishment had the right price. I have worn them twice for a few hours of mostly dining. I don't think I would choose these for an all day on my feet event because of how they fit my foot. Good orthotic though. My feet started aching and I found out that I'm flat-footed! Saw these sandals on HSN and I decided to give it a try. 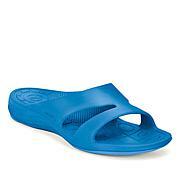 I usually wear a size 7 and these sandals fit true to size and they are so comfortable. Wore it all day and had no problems. 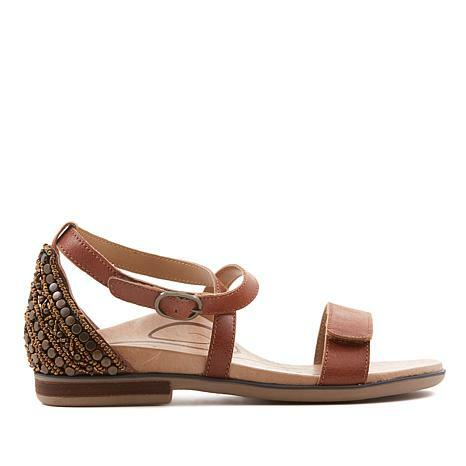 The sandals are also very pretty with the beaded heal. Received a lot of compliments. On the spendy side, but worth it.